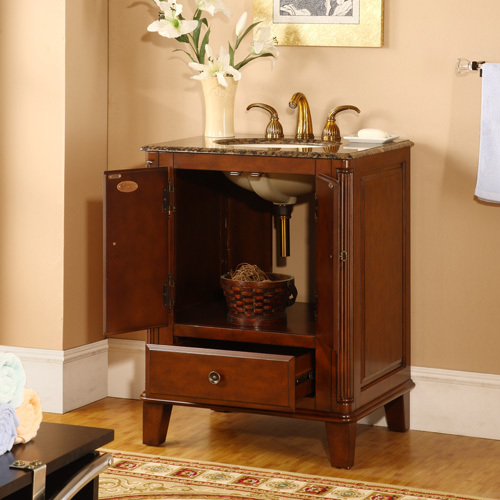 The Alviano Single Bath Vanity makes a great impression in any traditional bathroom. 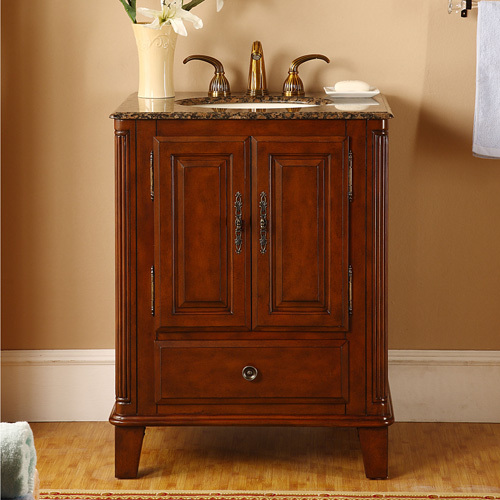 Featuring handsom beveling and matching Antique Brass hardware, this vanity speaks volumes when it comes to elegance. 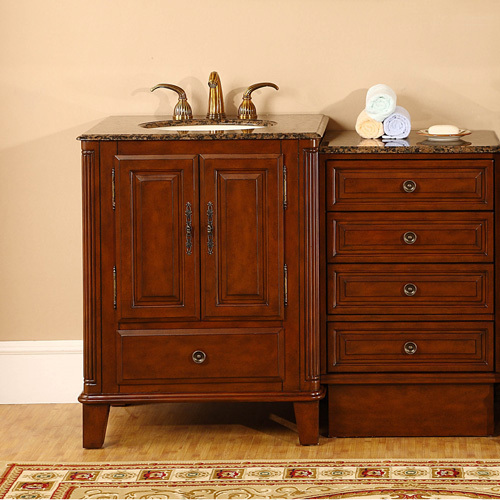 Its Baltic Brown Granite top makes a great complement to its warm cabinet finish and is installed with an ivory ceramic sink. For easy installation a large cutout has been made in the back and the top is pre-drilled with three faucet holes in a standard 8" spread. 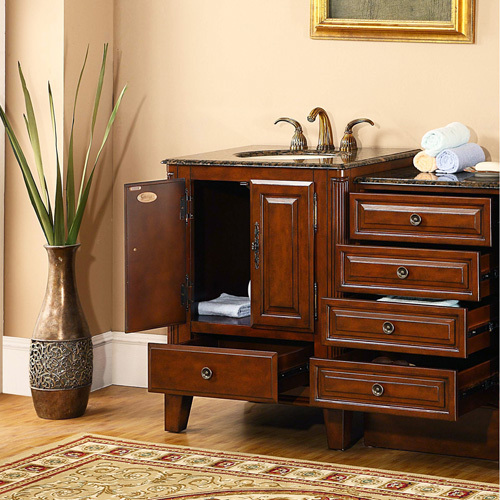 For additional storage space, an optional drawer bank is also available to give width and space to your new vanity.